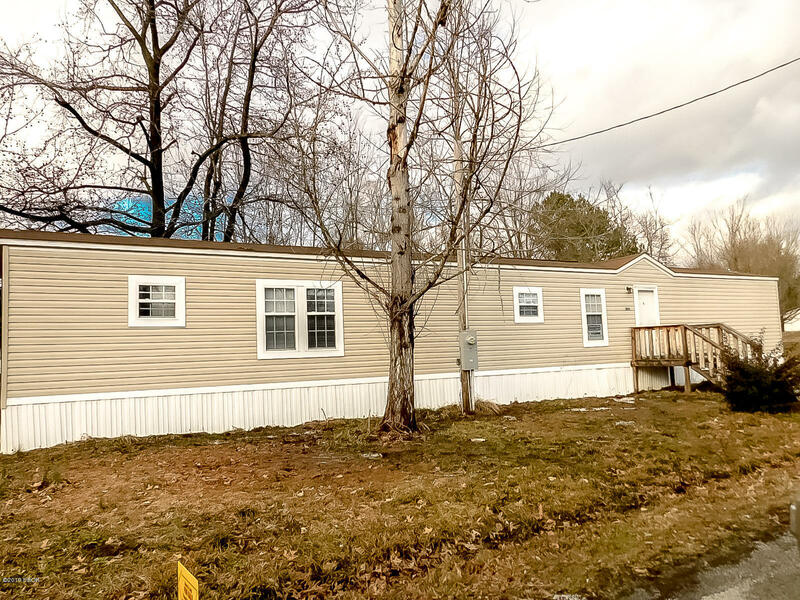 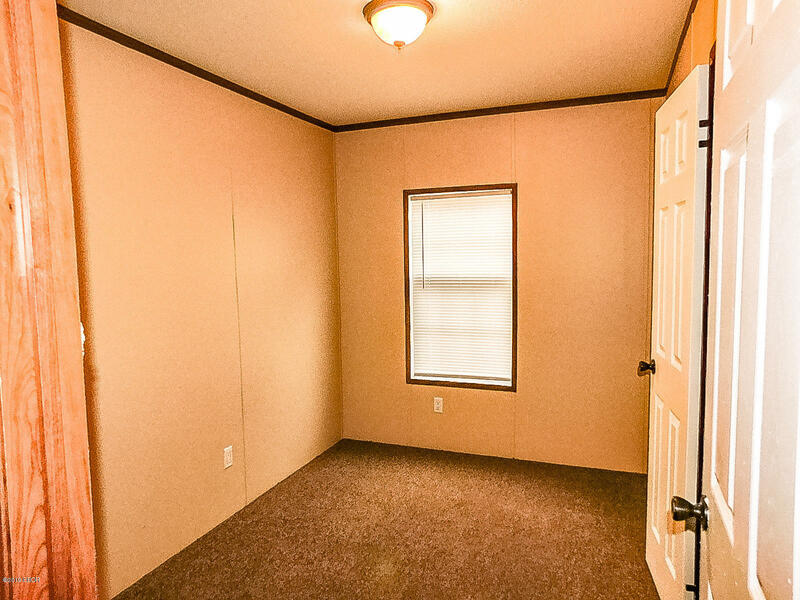 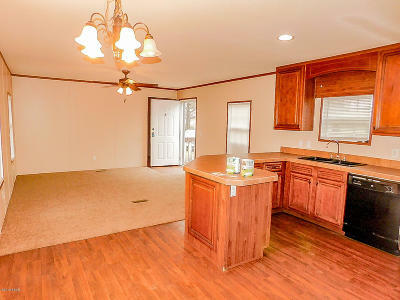 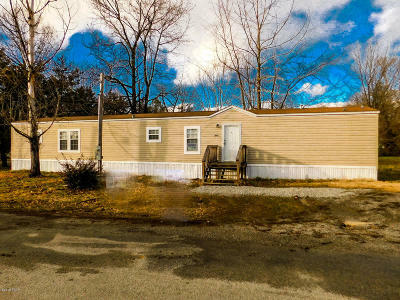 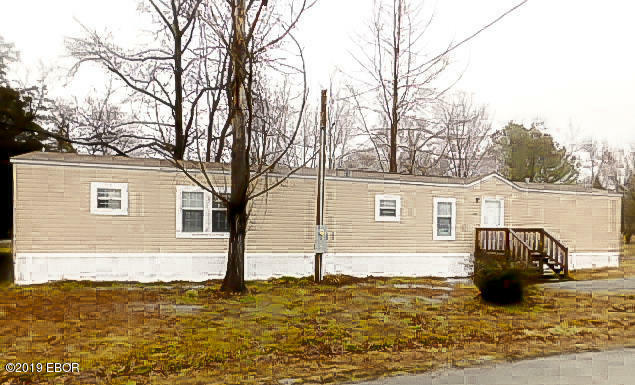 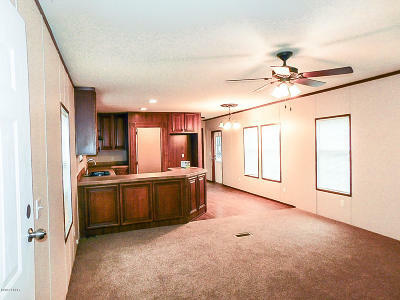 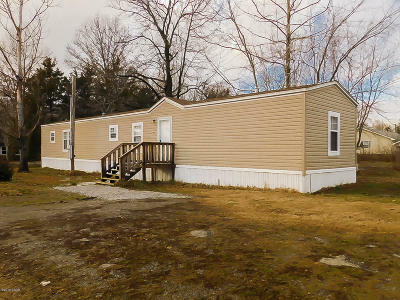 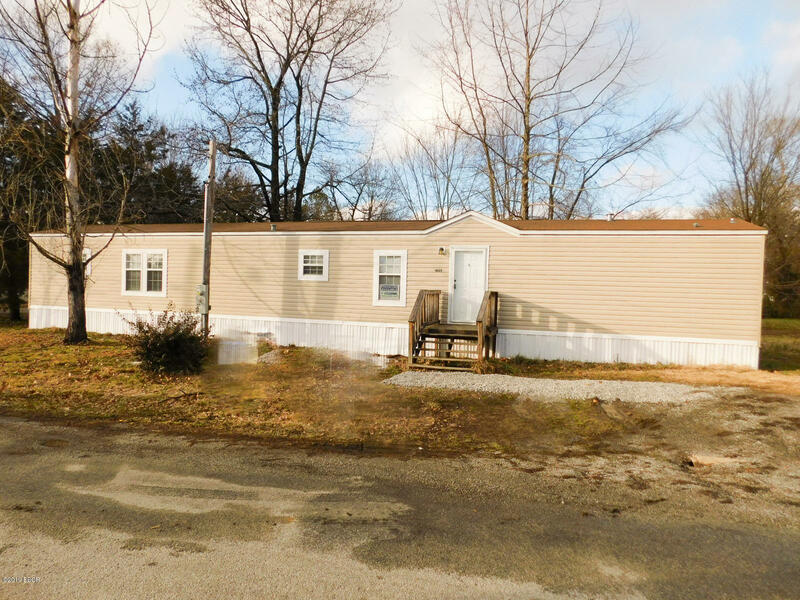 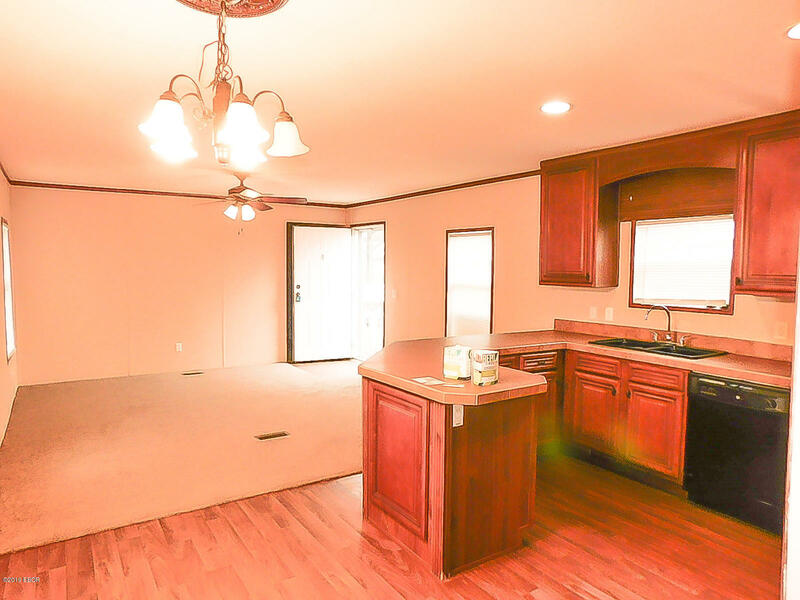 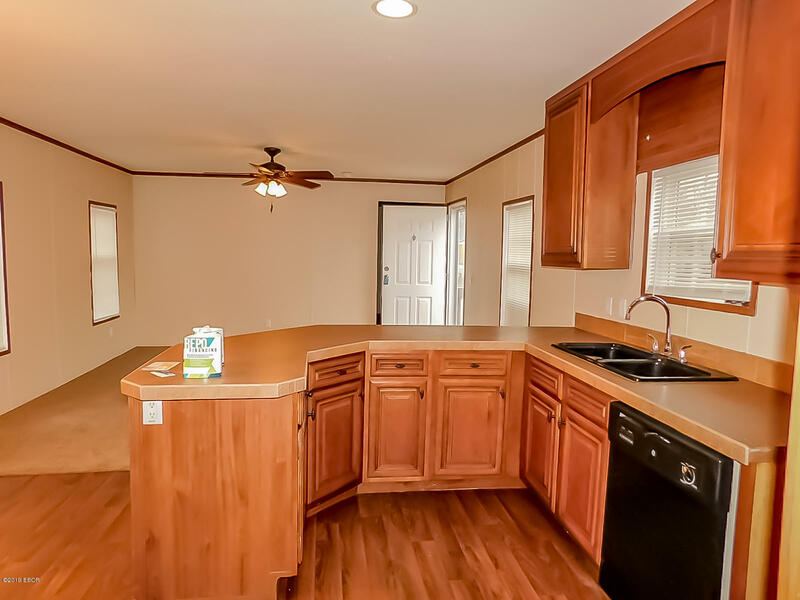 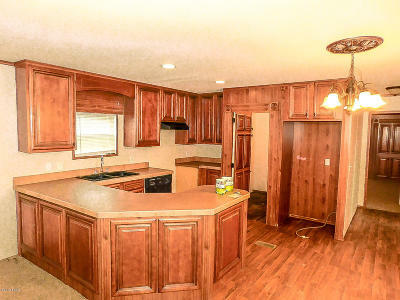 Just plain adorable, this manufactured home sits on a corner lot. 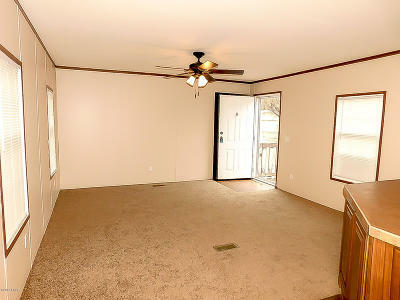 All been freshly painted clean and new flooring throughout the home. 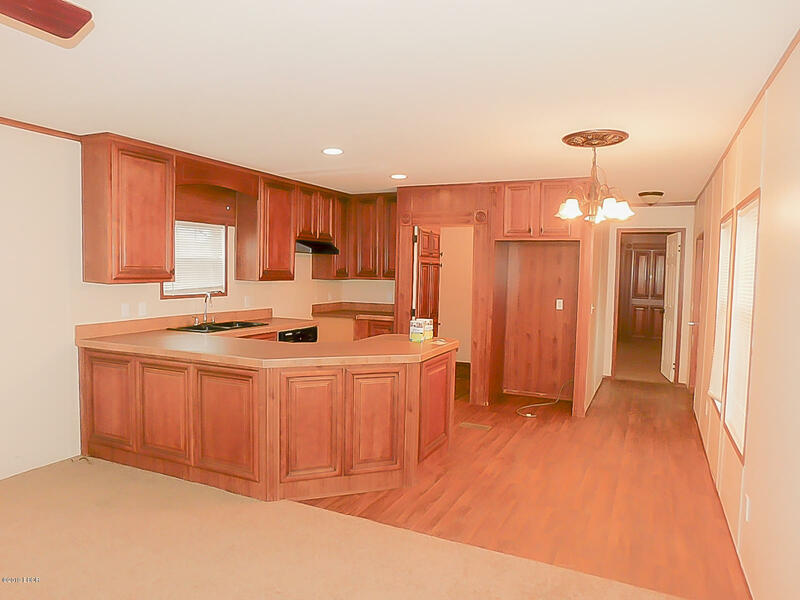 BEAUTIFUl kitchen cabinets and a large pantry and utility room hidden behind the cabinets. 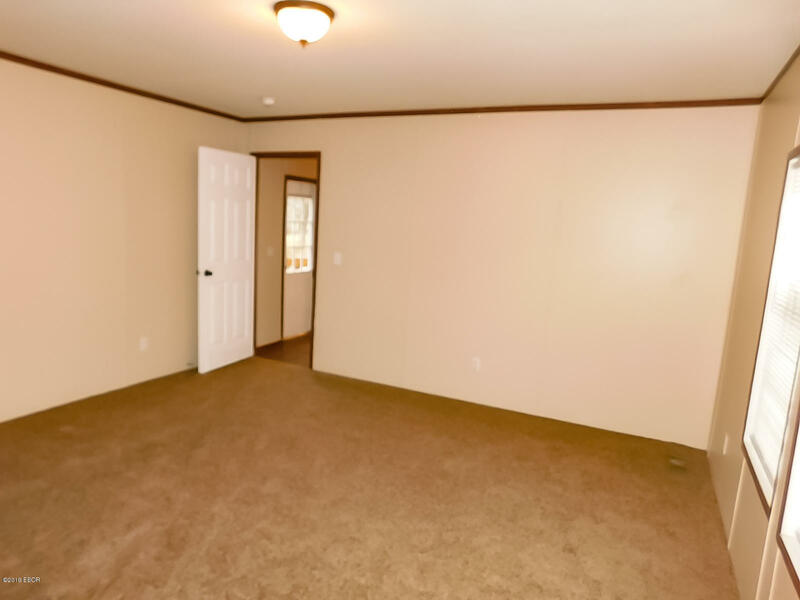 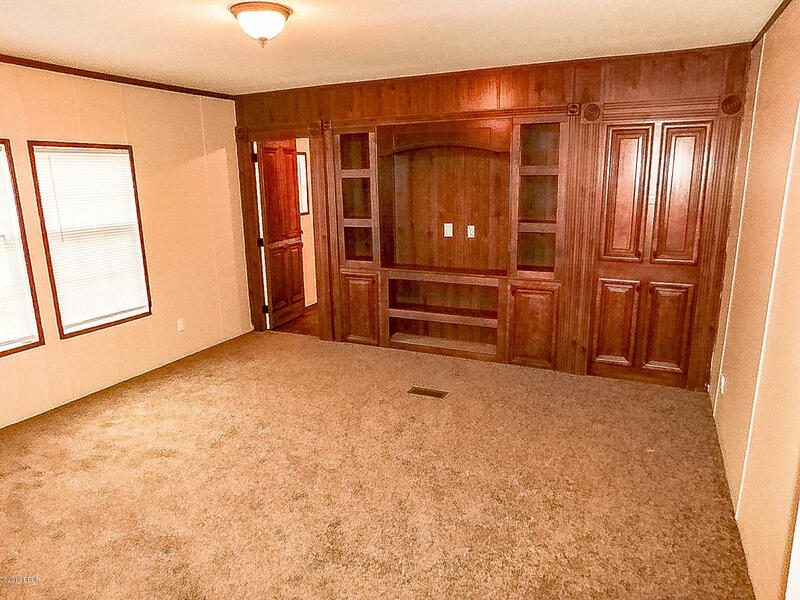 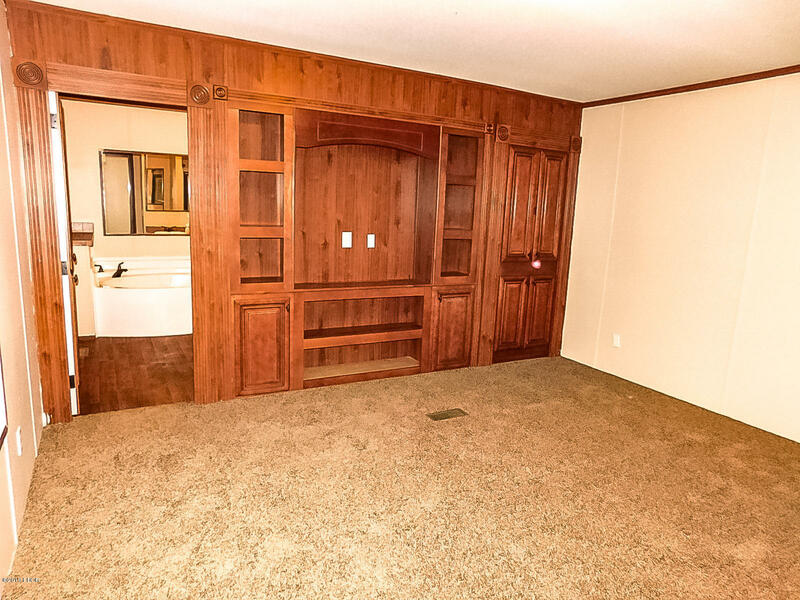 Master bedroom has a wall of cabinets with a built in space for television. 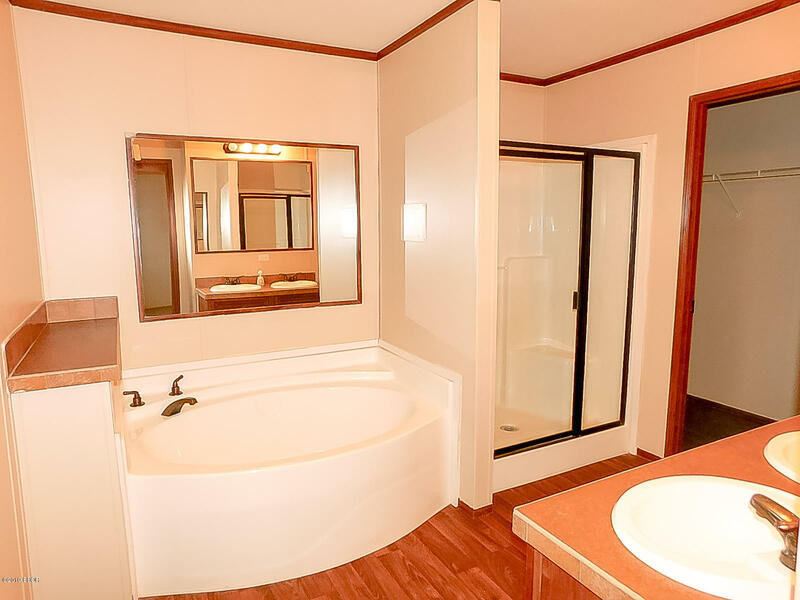 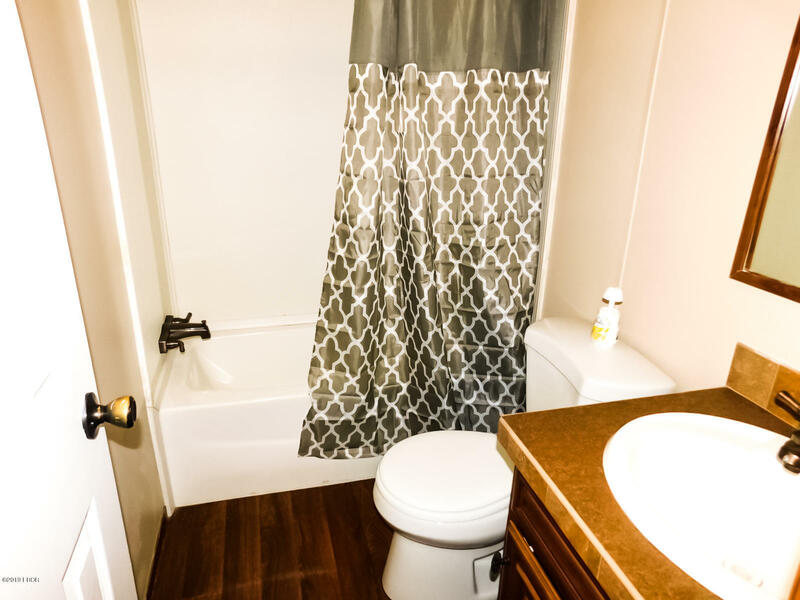 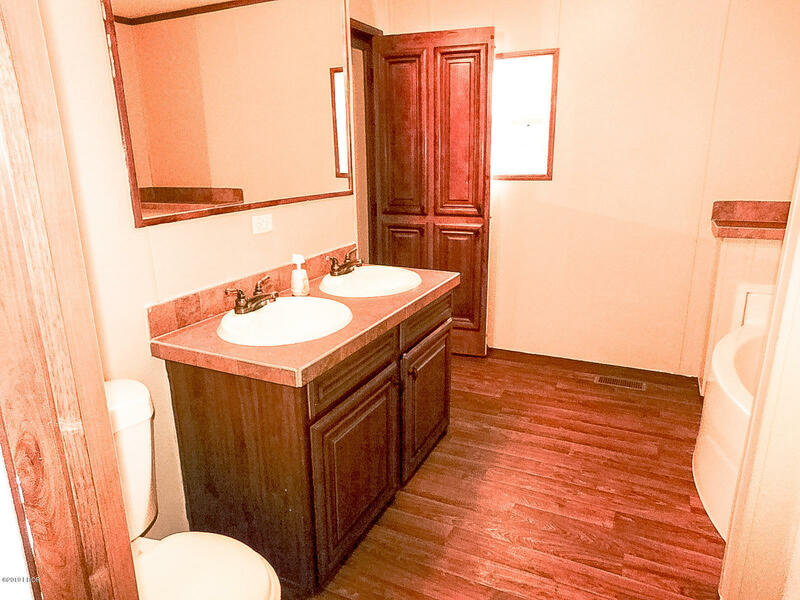 Master bath has a soaking tub and a separate shower as well as 2 sinks and a walk in closet. 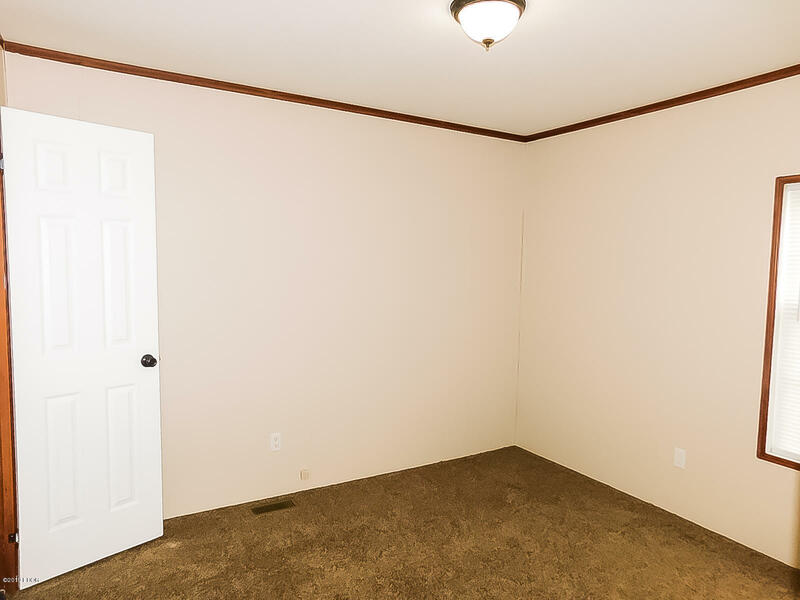 This home is just adorable and very adorable. 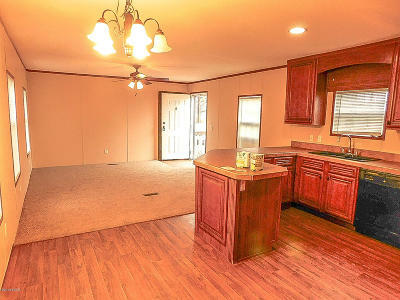 Owner willing to finance with approved credit. 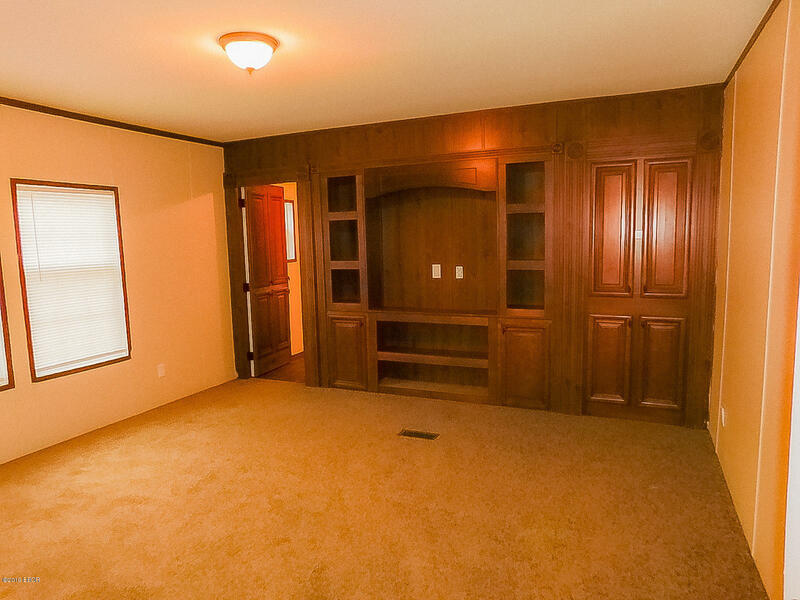 Be one of the first to see this treasure.